Snapped an hour ago at a tag sale. 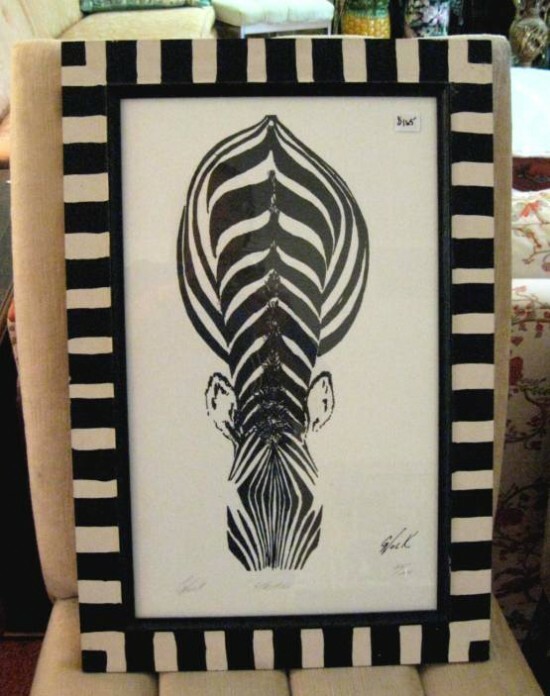 A signed edition silk screen piece of a zebra really clicked for me in this bold stripe painted frame . Perhaps this is jungle worthy though zebras live on the plains. Artist G. Lock. It’s about 16 x 32″. Great Zebra… the frame is great..